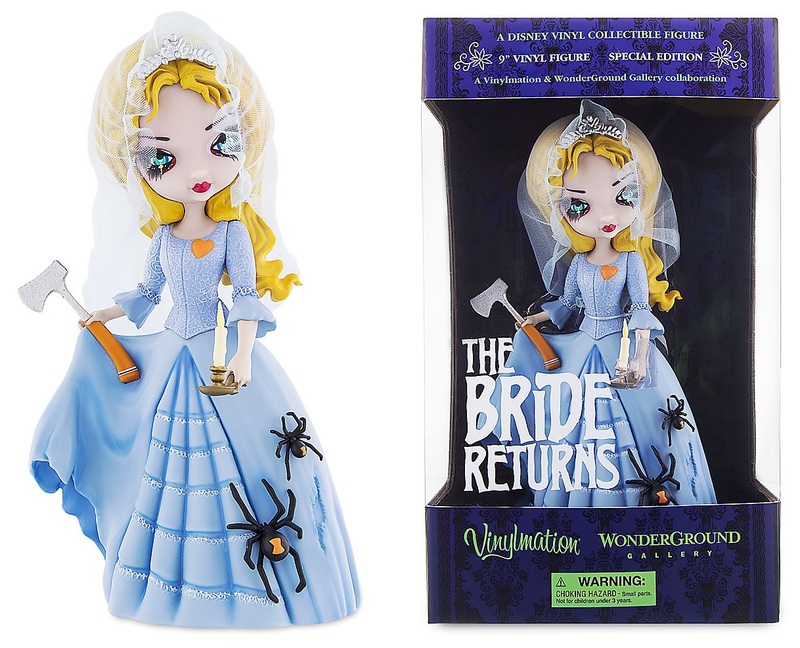 Continuing the ongoing evolution of the Vinylmation brand, Disney has released this pretty cool looking The Bride Returns Vinylmation vinyl figure based on the iconic The Haunted Mansion amusement park ride! With an axe in one hand, a candle in the other, and covered in spiders, the Bride cuts a chilling image. This special edition Vinylmation figure stands a whopping 9” tall and was designed by Disney artist Jasmine Becket-Griffith. The Haunted Mansion The Bride Returns 9” Vinylmation Figure comes packaged in a full color window box and is available exclusively at the WonderGround Gallery at Disneyland and online at DisneyStore.com for $69.99.